In this paper, a physical and mathematical interpretation of the passage from the Bose distribution to the Fermi distribution of nuclear matter is presented. 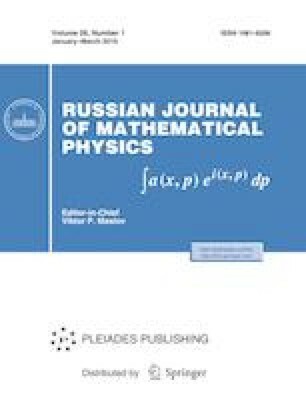 We consider the notion of “fur coat” and introduce the notion of “lacunary indeterminacy”, which is a region that contains a neighborhood of the activity a = 0 and is the boundary between the Bose particle region and the Fermi particle region when the nucleon separates from the atomic nucleus. Our approach yields previously unknown expressions for extremal values of activity in passing from a Bose-type region to a Fermi-type region provided we know the de Broglie wavelength and the volume of the atomic nucleus. This work was supported by the Government grant AAAA-A17-117021310377-1.